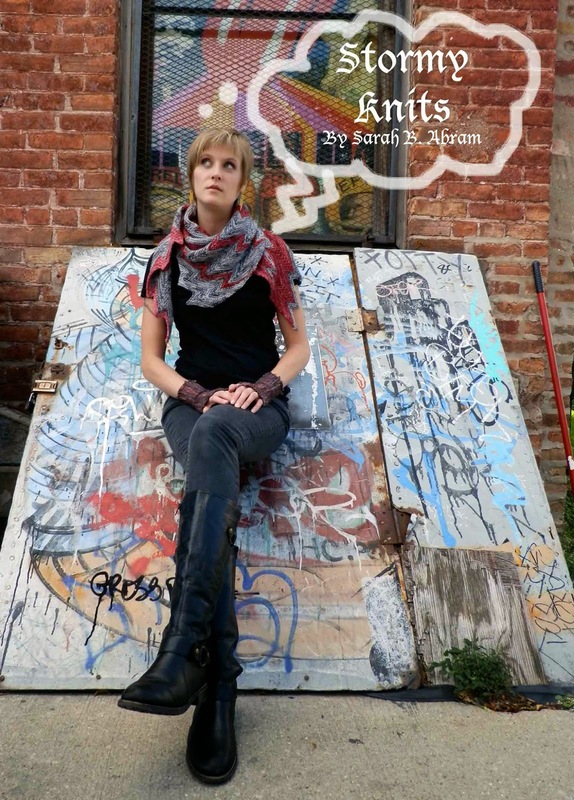 After months of knitting, designing, pulling up older, unpublished designs, re-knitting them into my desired palette, working with my saintly testers, photo-dates with my friend Teri Jo and my husband Doug, plus days upon days on my computer, I have finally published this collection of 6 designs! First, an art-deco inspired, asymmetrical hat with wayward, bouncing zig-zags and bobbles that drip both up and down, Altgeld. 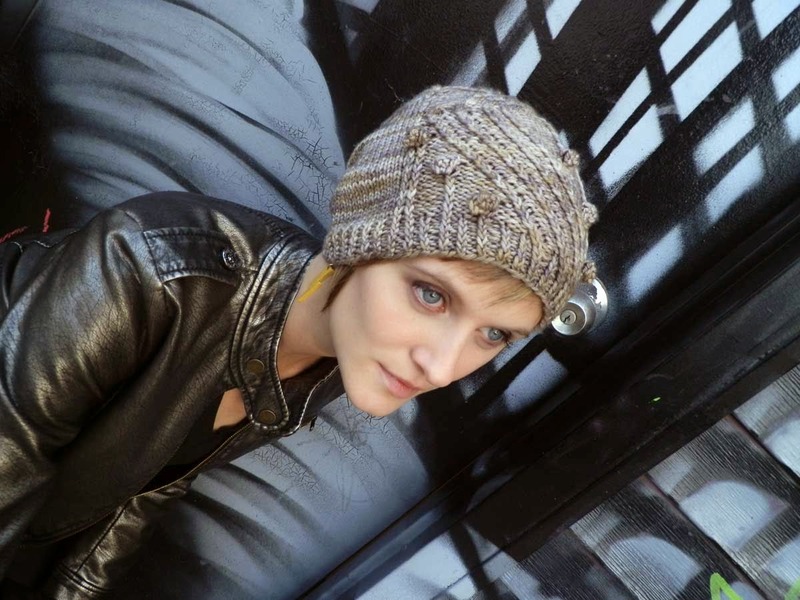 I love this hat because it's fun, interesting to knit, and works for both men and women. 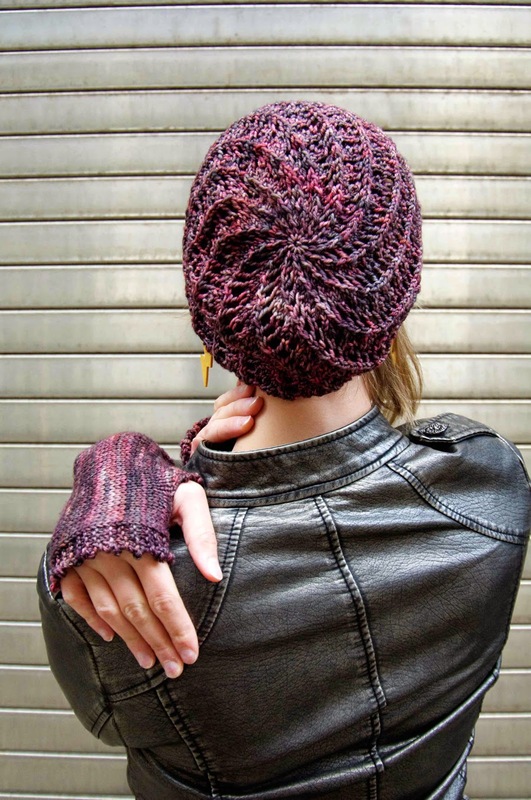 Next, in the sportweight Arroyo yarn by Malabrigo, are the Torrential Mitts. 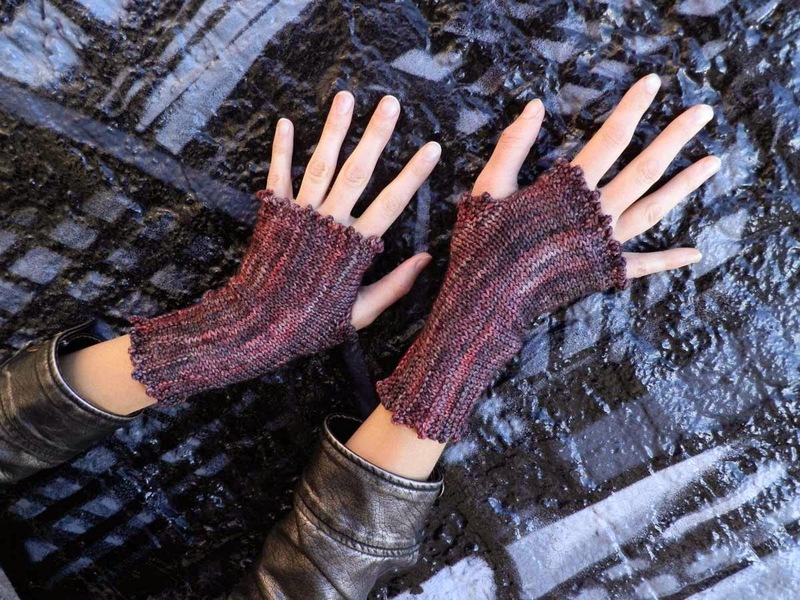 These are knit sideways, with a provisional cast-on and grafted together on the palm side, with short-row gussets and a nice picot detail. Using a thicker yarn, I made a lacy cowl that actually might keep you toasty. This, I call Thunder Cowl. Veering away from an exclusively-Malabrigo book, I diversified by using this amazing skein of Madelinetosh Vintage in the colorway Black Velvet. 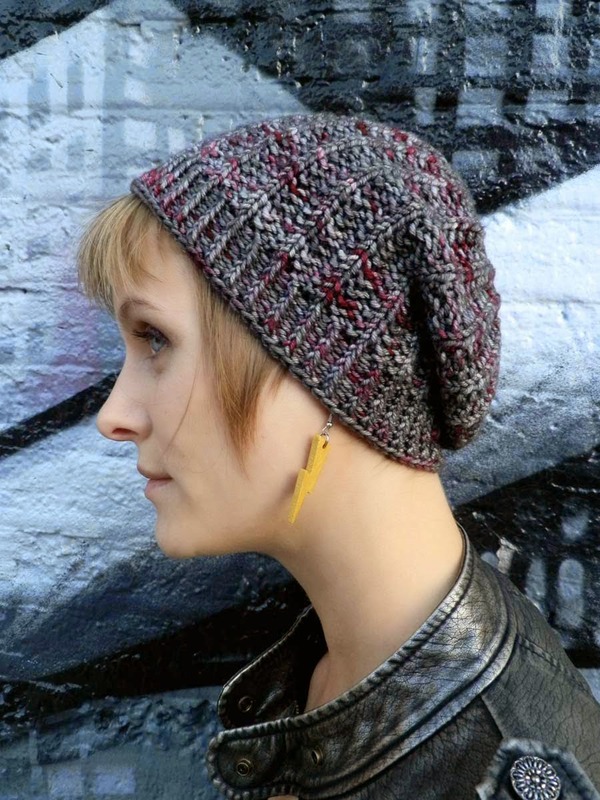 Ship Bay Beret utilizes a broken, or "mistake" rib pattern that looks deceptively like brioche. Very sneaky. 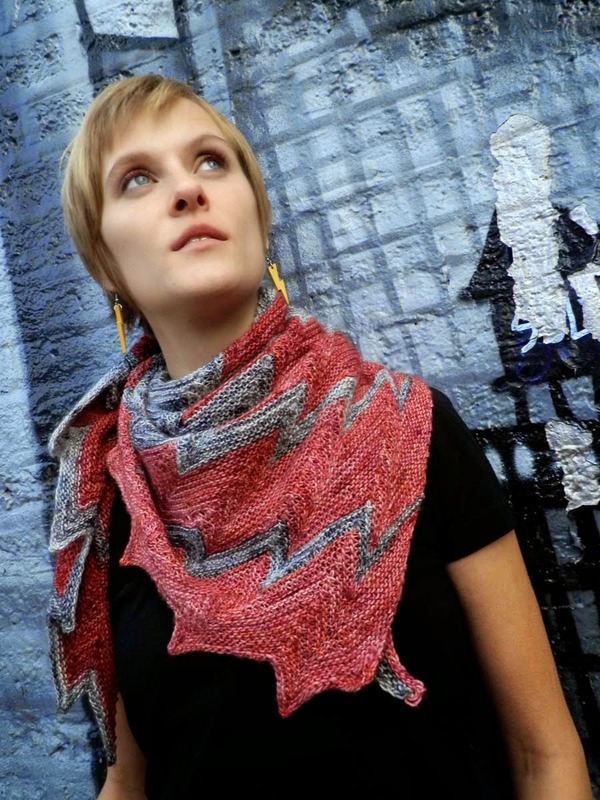 Last, but definitely not least, is Stricken, knit with Dream In Color's new base, Jilly. I named it because it looks like bolts of lightning, ones that might strike. I had no idea (and this makes me a bad Waldorfian) that Stricken auf Deutsch means "to knit." This is equally embarrassing because Dream In Color was created by two Waldorf moms. Ah well, I took Spanish in school. Thanks for perusing these new designs! You can, of course, buy the patterns individually, but if you buy the book, you'll get all the patterns for $20 (a savings of $13.50)! Each pattern, as well as the book, comes with a printable, text-and-chart-only black-and-white version so you don't end up wasting your precious ink on all the black I'm wearing in these photos!